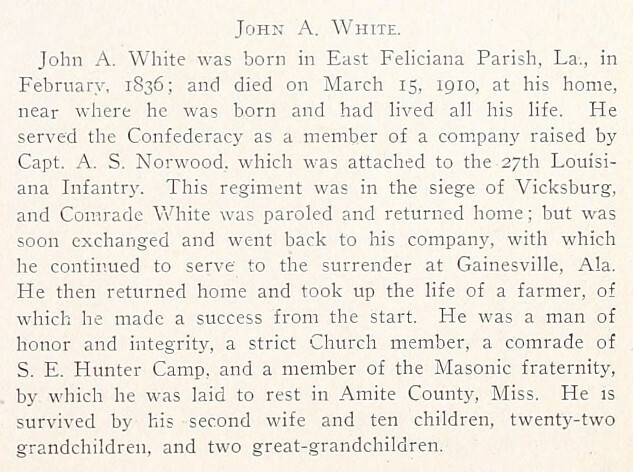 Obituary of John A. White, Louisiana. SOURCE:Confederate Veteran Magazine, May, 1910. SOURCE: Confederate Veteran Magazine, June, 1910.